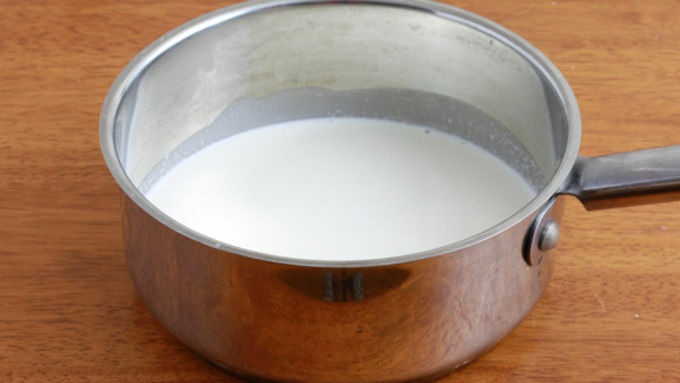 Heat the heavy cream in a large saucepan over medium-high heat, stirring frequently to prevent scorching, until it's hot and steaming , just on the verge of boiling but not quite. 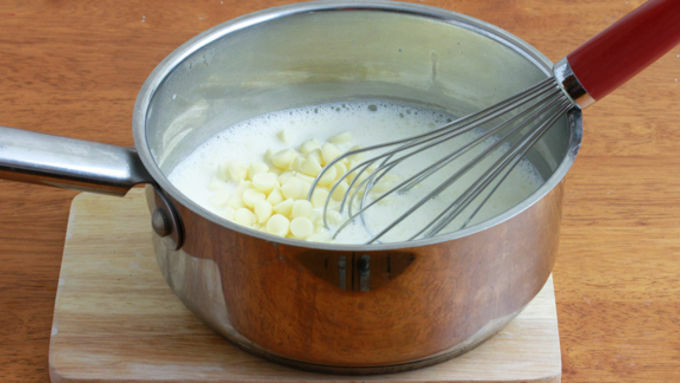 Pour in the white chocolate chips and whisk until they're melted and thoroughly combined. Whisk in the vanilla extract. 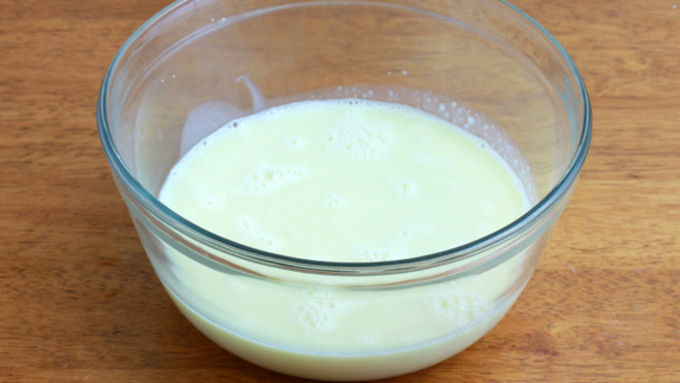 Pour the mixture into a large bowl, cover with plastic wrap and chill overnight. Don't worry if you think the mixture looks a little yellow at this stage, it will whiten beautifully once it's chilled and whipped. 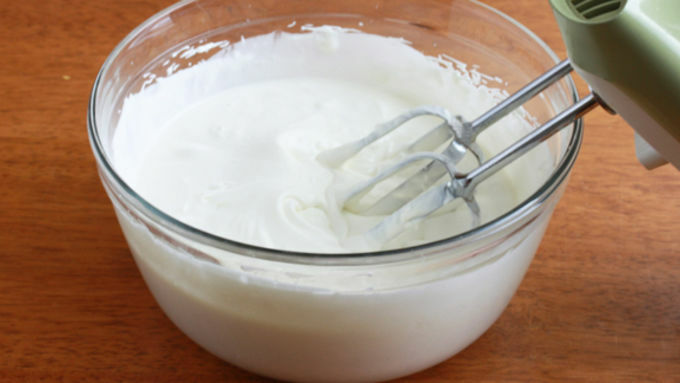 The next day, use an electric mixer to beat the cream mixture until soft peaks form (when you lift the beaters the mixture strands will briefly stand and fall over). Add the powdered sugar. Continue beating until stiff peaks form (when you lift the beaters the strand will remain in place). 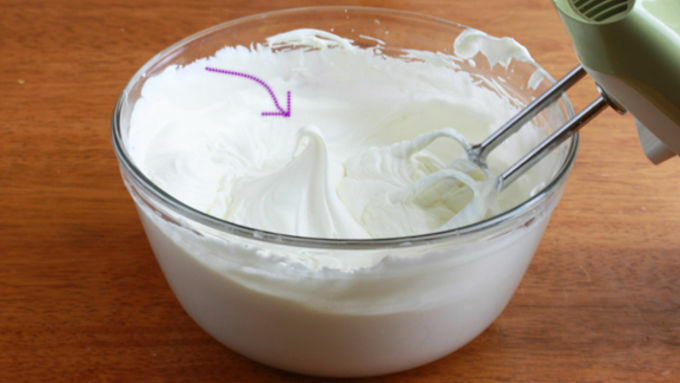 Use a piping bag or similar to pipe the mousse into the martini glasses in a circular swirly fashion. (Make sure you've already tied or hot-glued the bows on in advance.) Sprinkle with some edible glitter (you can find it at Michael's, for example) and refrigerate until ready to serve. Can be made several hours in advance. 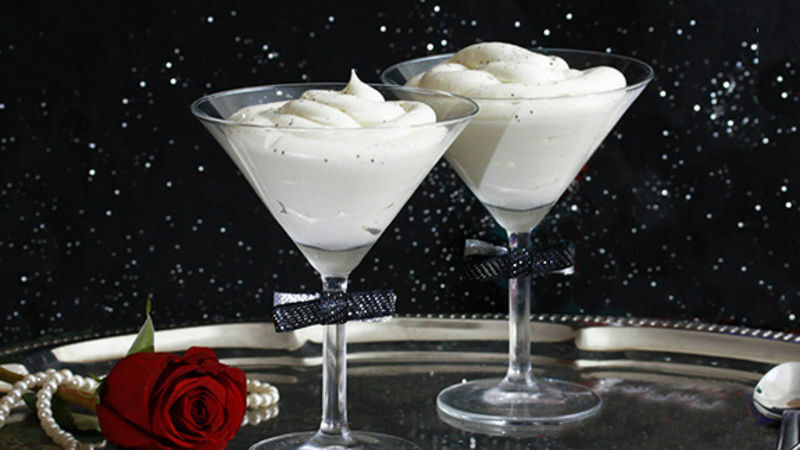 Whether you’re throwing a casual New Year’s Eve party with your friends or hosting something a little more formal and elegant, these sparkly dessert glasses will be a guaranteed hit. 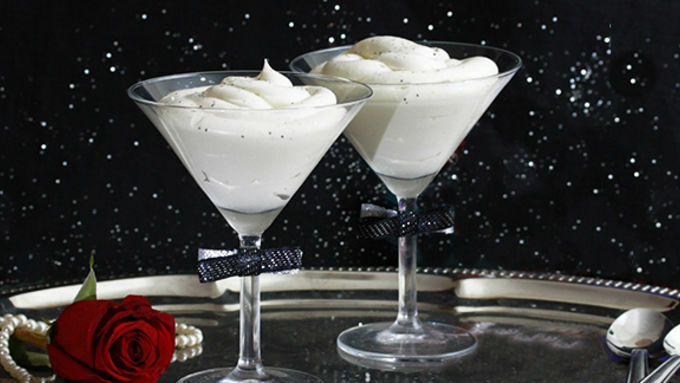 Deliciously creamy white chocolate mousse is piped into ribbon-tied martini glasses and sprinkled with edible glitter. They’re the perfect addition to a magical evening! These ritzy, decadent desserts are not only incredibly easy to make, they can be made several hours ahead and kept chilled until ready to serve. You can use either standard-sized martini glasses (the recipe will fill about 12 glasses, depending on how full you pipe them) or use 24 mini martini glasses. Either way, they’re perfect if you want an elegant and hassle-free dessert. I must warn you, this mousse is dangerous. I found myself tasting it at almost every stage of preparation…and more than once per stage. It’s reeeeeally hard to stop after one taste. Trust me, I know. I mean, it’s pure cream, chocolate, and sugar…who could resist such a combination? And it’s also a good thing that each serving is limited to just a glassful. You don’t want you or your guests ringing in the New Year with an extra ten pounds to haul around, know what I mean? I’m just forewarning you in advance so that you can strengthen your willpower to resist eating all the mousse before your guests arrive. (No, I didn’t eat ALL the mousse…some of did make it to the martini glasses. See? There are two glasses in the picture. Sheesh. I’m not that bad.) New Year’s Eve was made to sparkle and these shimmering little jewels are just what the party calls for. They’re classy with the perfect touch of pizzazz. Happy New Year!